While I was at the Royal Show last week, I had half-an-hour to kill, by myself. 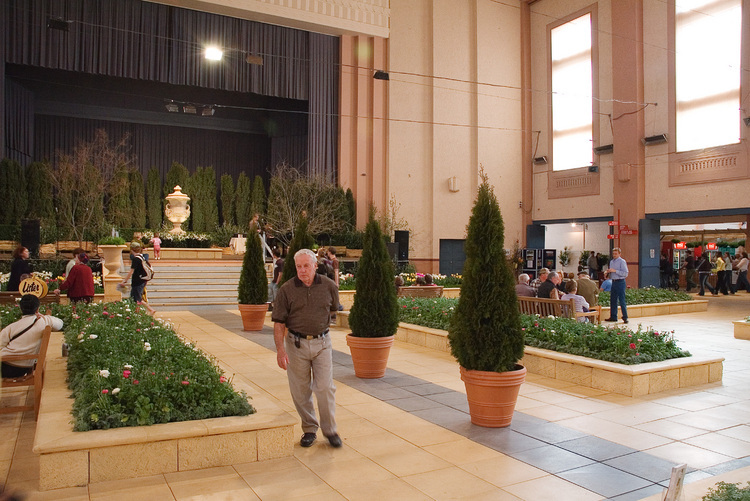 I wandered into Centennial Hall, which for the duration of the Show is called the Horticultural Pavilion, but to me it seemed like the Introvert's Pavilion — where most other parts of the show are loud and bustling, this part is quiet and relaxed. Of course my previous encounters with Centennial Hall haven't been so calm. Generations of South Australians know it as the venue for university (and in generations before mine, high-school) exams. I'm not sure is it's still used for exams, but whatever the case, I still prefer it at show-time, rather than exam-time. Details: Nikon 18-70mm, 18mm, f/8, 1/30s, ISO 200, curves.